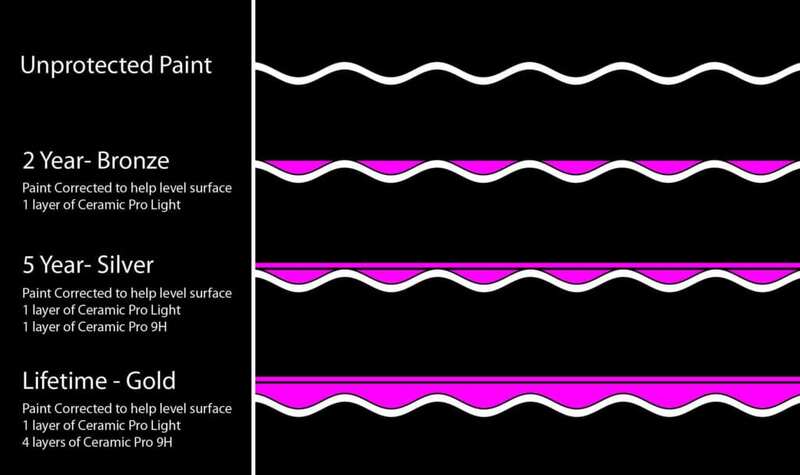 Any surface scratches that happen in the coating are easily removed with light polishing which will not weaken the integrity of the original clear coat. 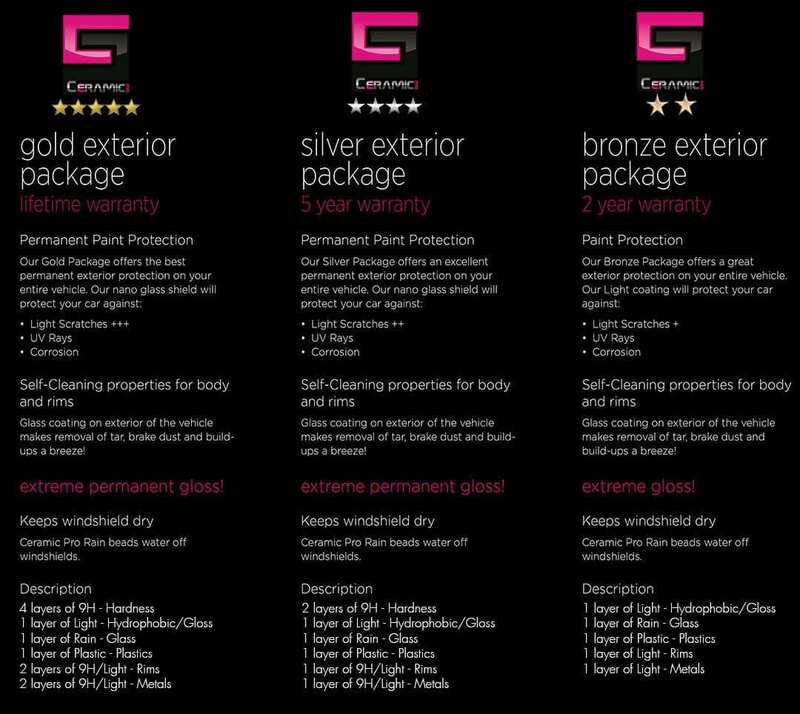 With Ceramic Pro your paint won’t fade or age due to the UV protection in the glass coating. 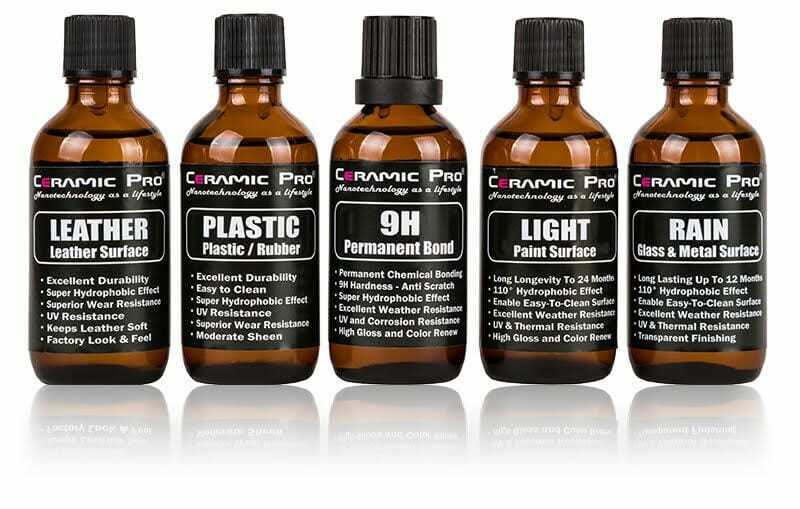 Think of Ceramic Pro as an additional clear coat layer, only a lot harder. 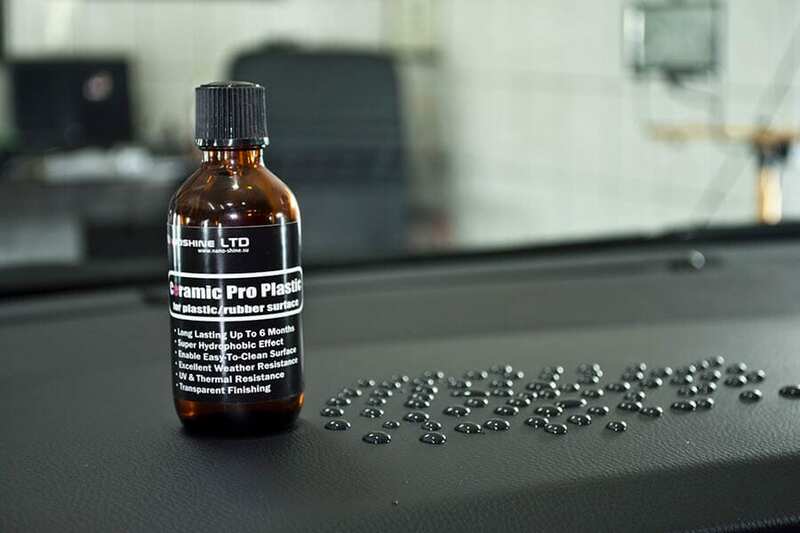 All of this allows for more peace of mind and a fuller enjoyment of your vehicle, even in harsh environments Glossy, slick and self-cleaning This nanotechnology allows the Ceramic nanoparticles to fill the smallest pores in the paint which makes the Ceramic Pro glass shield shiny, smooth and extremely slick or hydrophobic. 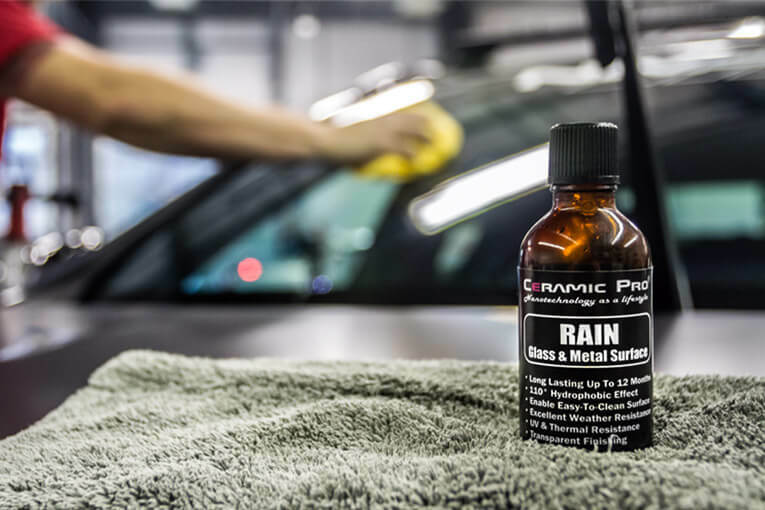 Ceramic Pro dramatically lowers the surface tension preventing environmental contaminants such as bird droppings, bugs, dirt, tar and graffiti paint from bonding to the surface. Water easily removes dirt from the surface by encapsulating it while rolling off the surface. This is called the self-cleaning effect.